Whether you’re a willing deck hand, friendly passenger, or welcoming captain, Boat With Me wants to make waves in ride sharing. While it serves as a ride-sharing network, Boat With Me focuses more on connecting boating enthusiasts to create and share events on the water. By itself, the app is free to use. Captains and prospective passengers create profiles to list their location and interests. 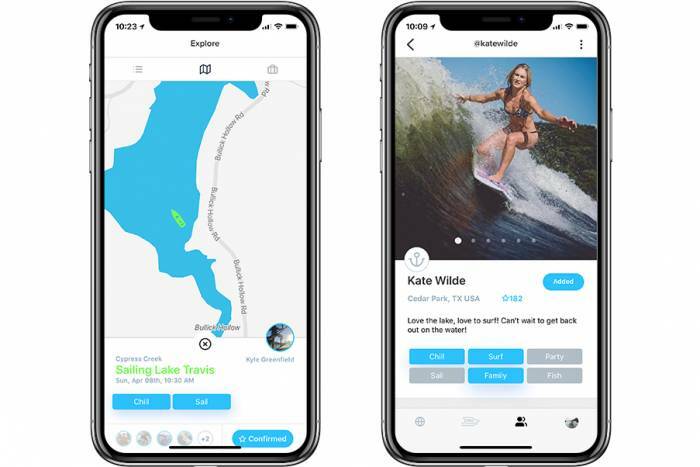 Then, Boat With Me works like a social network, helping like-minded individuals find and connect with one another. Captains can request deck hands, sociable passengers, or just friendly ballast. Meanwhile passengers can offer to pitch in for fuel or bring snacks, beer, or anything else to add to a fun day on the water. Like other popular networks, Boat With Me lets users message each other, create groups, and set up events. Users can also find rides to nearby destinations across the waves. But unlike Lyft or Uber, Boat With Me doesn’t compensate drivers or coordinate payments with passengers. That’s strictly up to you. At present, Boat With Me is focusing on making boating more social and friendly. “At the end of the day, it’s all about making new friends and having a good time on the water,” Ostrom and Greenfield said. Boat With Me launched last month and is available for iOS and Android.